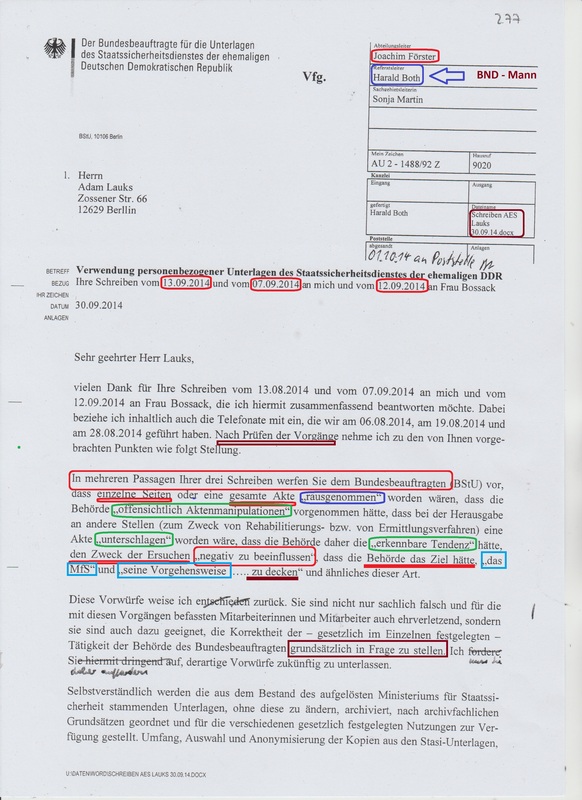 I am Person of interest – as a Warrior for Human rights in Prisons and Isolatioen 1982-1985 and after reunion of Intelligence STASI and BND WHY? In the Darkness of Oktober the 29 in the Year 1985 01:40 four Officer put me on the MERIDIAN EXPRESS in Bad Schandau and sent me towards Belgrade after 3,5 Years war in GDR Prisons I had been fighting against the inhuman Communist System in GDR. 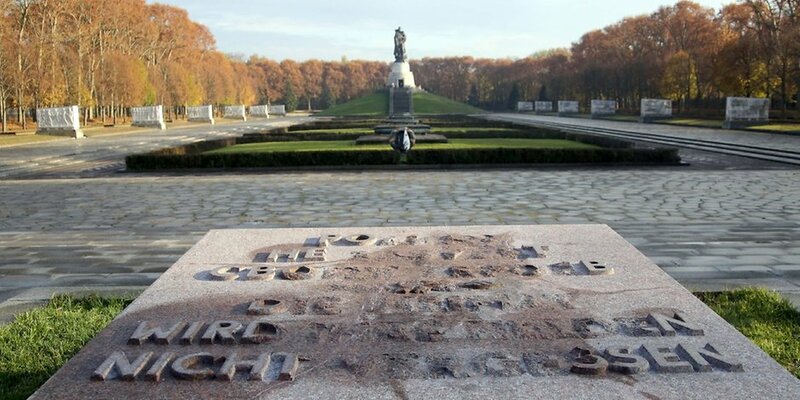 Officer named Hans Theodor Richardt maybe had the license and Order to kill me somewhere in Hungary? He was traveling with me or waiting for me in Hungary. My Ex Wife, „Julia“ of Markus Wolf, the former Boss of Spions abroad, had been waiting on a message about the fulfilled order that night….28. to 29.october 1985. 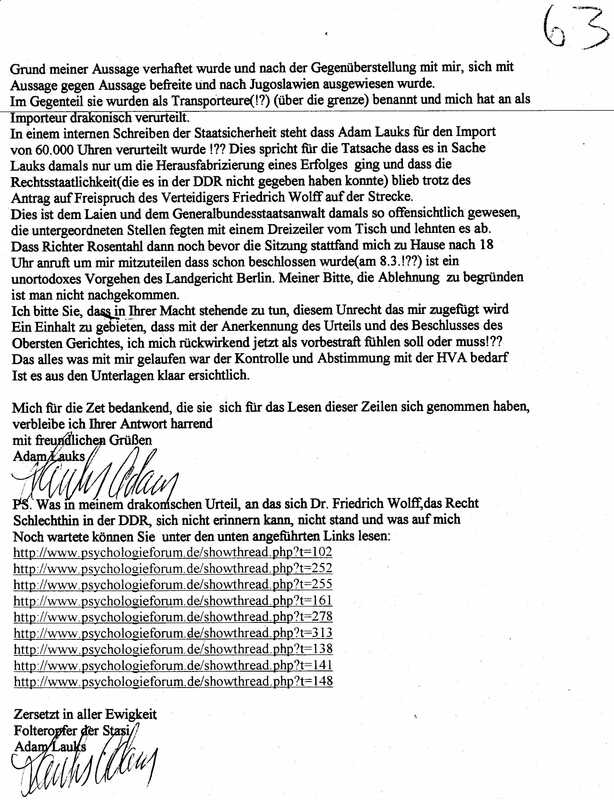 Here is the third page only, which BND man Harald Both had given to me. It´s only a short notice of the plan how to eliminate me when the train is passing Hungary. Maybe the God Father or a Guardian Angel send by God told me around 02:30 when MERIDIAN reached Usti nad Labem in Czechoslovakia: “ Adam, stand up and live the Train. With no money in my coat and only railway Ticket to ride direction Belgrade to Novi Sad. I stand up and left the train at 02.30 in Usti nad Labem in this low late October night 1985. I walked down to the Riverside on the Elbe, put autumn leaves over me and I caught the sleep and have been dreaming as a just born baby till the sun shining in my face awaked me. So I survived and can write and post this. 35 Years after they came to lock me up, and destroy my family and to destroy my life. 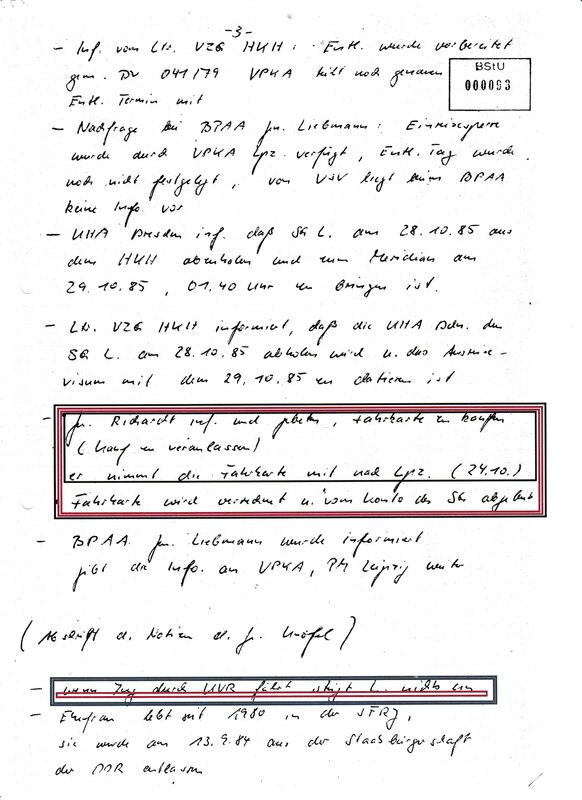 The plan to kill „Merkur“ had already existed before my Ex-Wife as a Spion of Marcus Wolf intelligence left GDR with our two girls to live in Ljubljana where I had have to start my Job in the main office of Ljubljanska Banka. At the Adriatic coast, I tried to start a new existence renting boats, instructing waterskiing and teach windsurfing. After 5 unforgettable life at the seaside 5 meters from the waterline. Just at that time started united Germany under the leadership of Chancellor Helmut Kohl, blessed by the USA to destroy my Country, my Homeland, my Yugoslavia. W H Y Germany has done this with the support of CIA, MI5, BND, and Vatican have to do this, is the Question which till today is answered with LIES! Nothing but LIES. The USA and his slaves Germany started with Export of DEMOCRACY in Yugoslavia first. Yugoslavia was the first victim of western Democracy. The real Answer WHY Yugoslavia had to be terminated and destroyed is: Germany wanted and had the intention to cancel and eliminate the Weapons Saler Nr.4 in the world who Yugoslavia was under the leadership of president TITO. My Homeland was an independent, open and free Country and the friendship with the USA had a long tradition. In second Civil War, Yugoslavia and USA were Brothers in Arms and belongs to the winner over Hitler. With two little Girls, we escaped from Yugoslavia 1991 when destroying had begun and come to Germany. 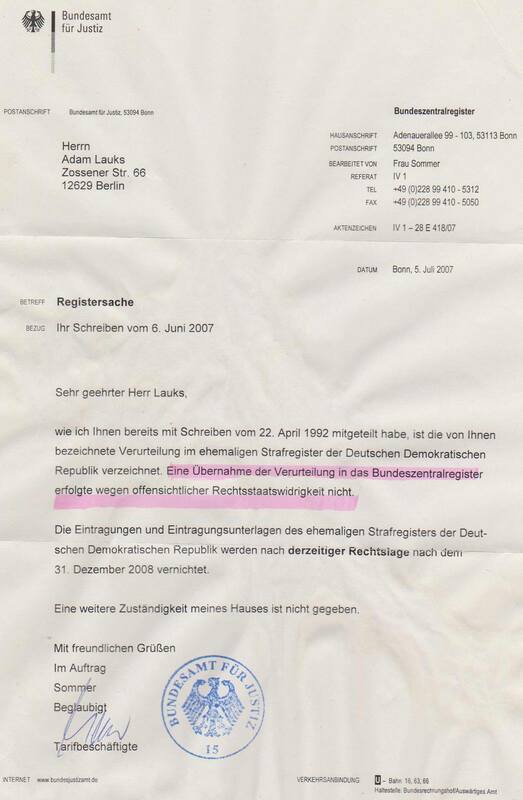 On the 7.12.1991 I have written my first Letter to reverent Joachim Gauck in, – 2012 he became President of Germany, – his Gauck Agency and ask him to help me with files from STASI Archives which hie hold in his hand. 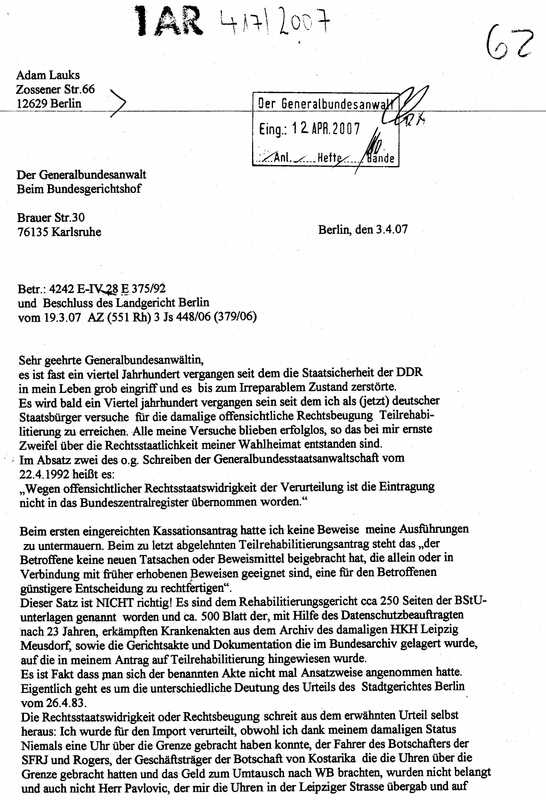 I could have any Idea that my letter was sent to United Intelligence from East and West of Germany. 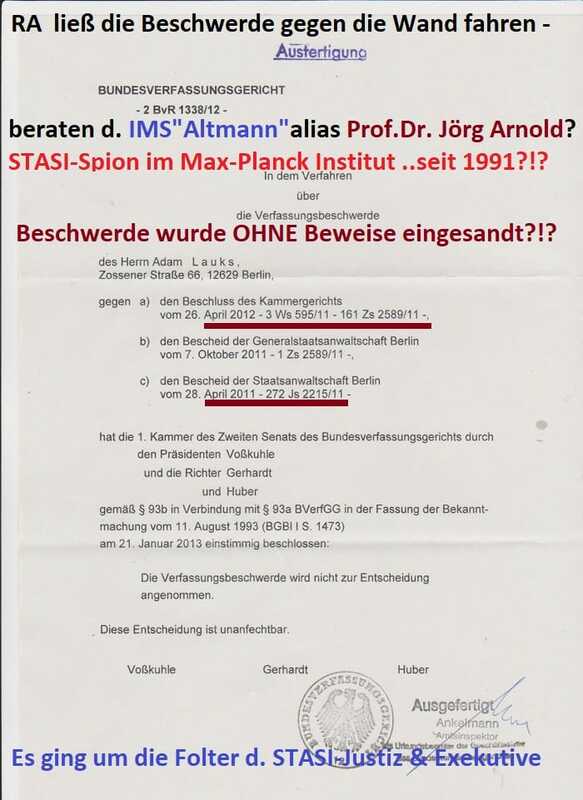 STASI and BND married on 4.10.1990 when Mister Gauck become boss of this new and completely uncontrolled Intelligence. 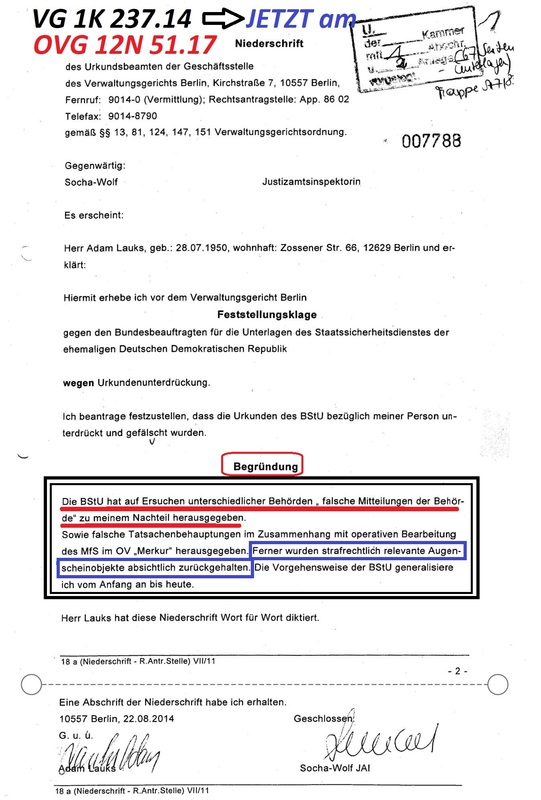 As a fourth man in the Agency was mister Harald Both, coming from BND and he had to lead the Causa of Victim of STASI-Torture who Adam Lauks was and is living as a Person of interest without status of a Tortured person. Germany ignored the international law and has no § for punishing torture. 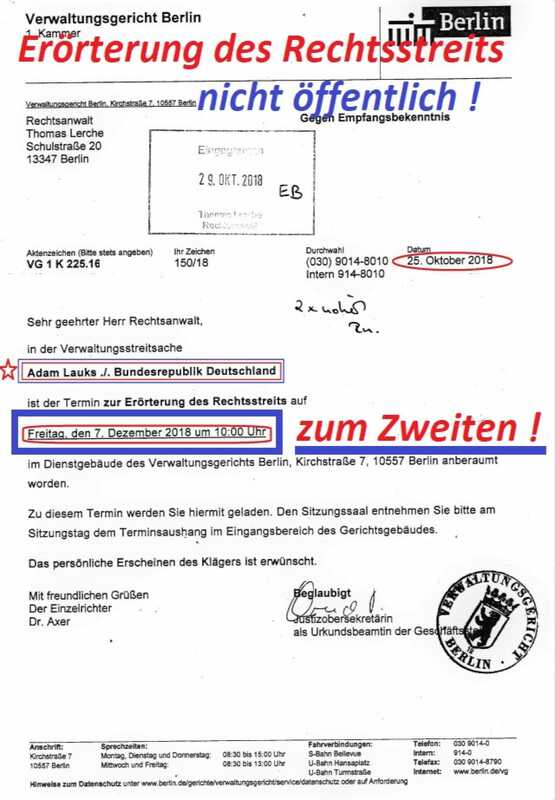 This is the reason why I shall never reach Justice as long as I live, because of ignorance and deep inhumanity in Germanys System. 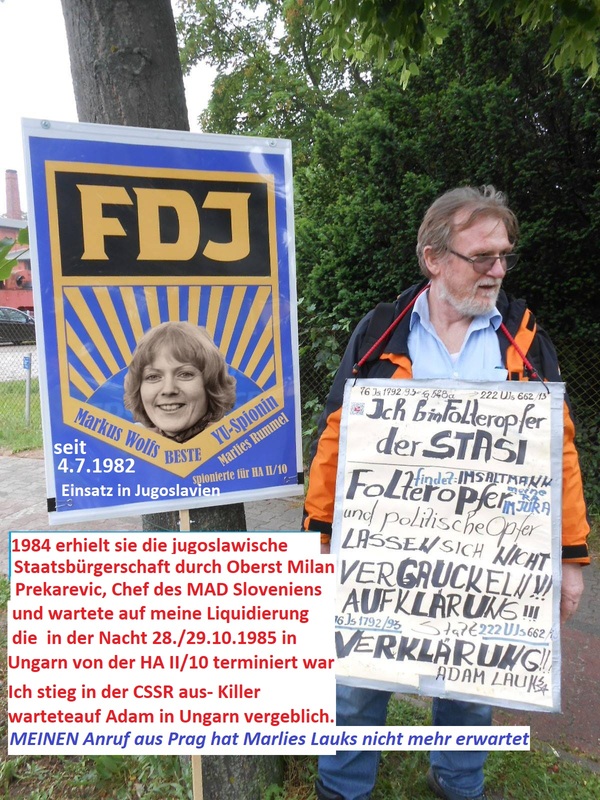 As refugee landed in Berlin I became Person of interest as an Enemy of STASI in Former DDR in united Germany´s. 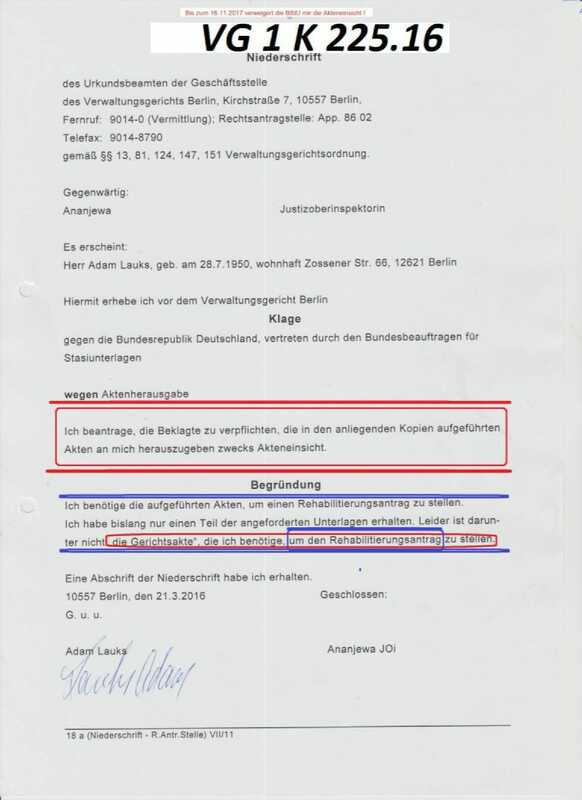 Bei einer persönlichen Begegnung in der Höhle des Löwen sagte ich ihm das ins Gesicht, dass jeder in der Behörde weiß dass er BND Mann sei..
„Wenn ich gegen Sie vorgehen würde wie ich könnte..“ … es war eine Drohung, auch das sagte ich ihm in s Gesicht. Was hindert Sie den daran??? 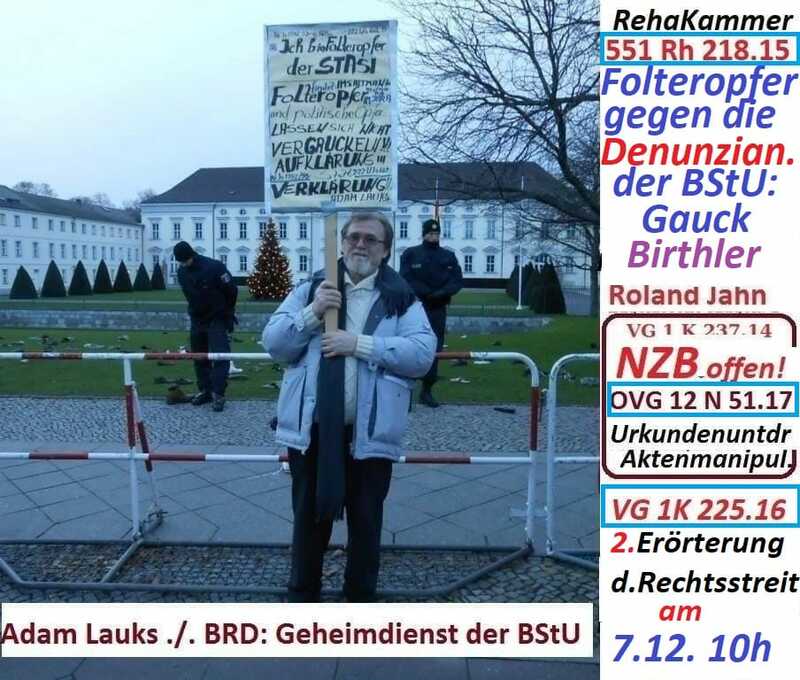 Bis JETZT hatte er die Drohung noch nicht realisiert sonst wurde ich nicht tippen und den Lesern WAHRHEIT über die STASI einschenken. 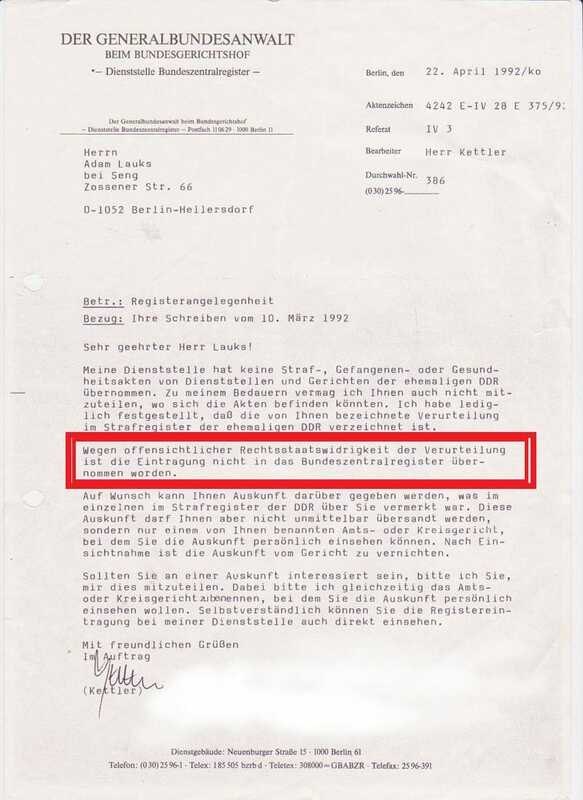 Dieser Beitrag wurde unter AKTUELL, Aufarbeitung, Aufarbeitung "der Aufarbeitung", Aufarbeitung der Gauckschen Aufarbeitung, Aufarbeitung der Rechtsbeugung des Obersten Gerichtes der DDR, Aufarbeitung der Rechtsbeugung des Stadtgerichtes Berlin, Aufarbeitung der STASI - Verbrechen, Aufarbeitung der Verbrechen der IM Ärzte durch die Bundesärztekammer, Aufarbeitung durch die Ärztekammer Berlin, AUFKLÄRUNG STATT VERKLÄRUNG, Gauck Behörde, Gauck´s und BStU Aufarbeitung -25 Jahre Vergauckelung und Lüge, Roland Jahn - BEPO der VOPOS der DDR, Urkundenunterdrückung des Joachim Gauck veröffentlicht. Setze ein Lesezeichen auf den Permalink.